I always play a human in every MMO since completely regretting not playing one for 6 years during my FFXI days. It was obvious that to play one in WoW i would have to roll with Alliance. Since i knew nothing of either side, i didn’t even give it a second thought. That was until everyone i know informed me of the error in my ways. I was bombarded with “no one plays alliance!” and so on and so forth. It seemed like lots of people play them from where i was standing so i wrote it off as faction pride. Then i did the unthinkable – i rerolled from human! It made me sick to my stomach at first to be quite honest but since everyone i know plays/played Horde, it made the decision much easier. I typically can’t get into my characters if they’re some funky race i can’t identify with and Horde sure does have a lot of those. Fortunately for me, there are blood elves, which look as least close enough to humans that i can manage. I went from the heavily Alliance server of Stromrage to the opposite spectrum on Area-52. While it’s still taking some getting used to, i can say that i am enjoying the blood elf combat animations. I’m assuming they’re different right? They seem so to me at least. 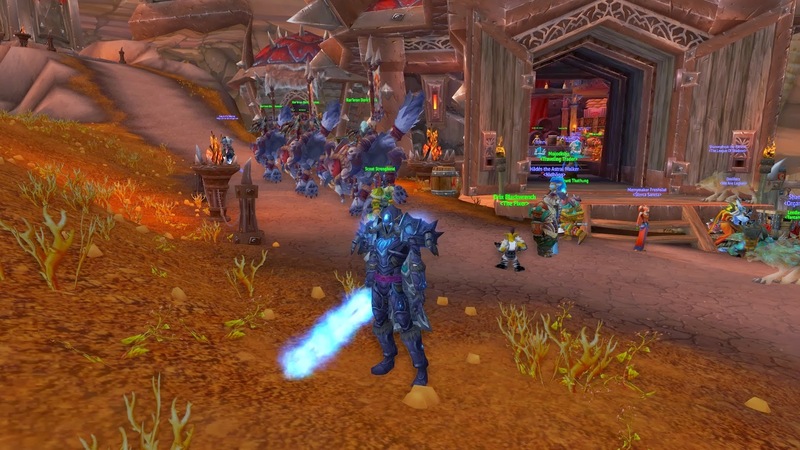 Thanks to a generous loan i managed to get my flying license along with my first flying mount. It’s sure made a difference in the speed of which i can complete quests. It helps being able to avoid aggroing everything like i tend to do! I mean, who can say no to a flying lion? 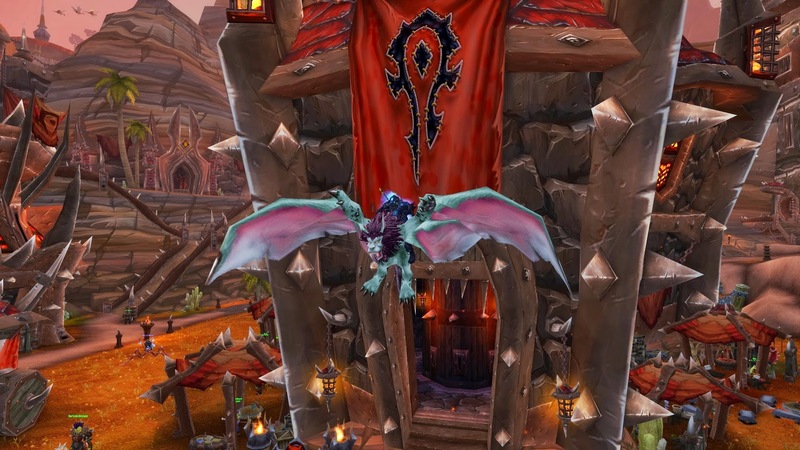 I’m going to ignore the fact that i normally am not a fan of flying mounts. Come say hi to Aldee on Area-52. I’ll probably be running back to my corpse after pulling one too many mobs. It’s hilarious playing a 9 year old game for the first time.